Today I have an interview with Brennan Taylor and John Carimando from Galileo Games on the new setting and adventures, Tales of the Warrior Princesses, which is currently on Kickstarter! Brennan and John are on top of the project, so I've asked them about the game and what they're bringing together to make it happen. 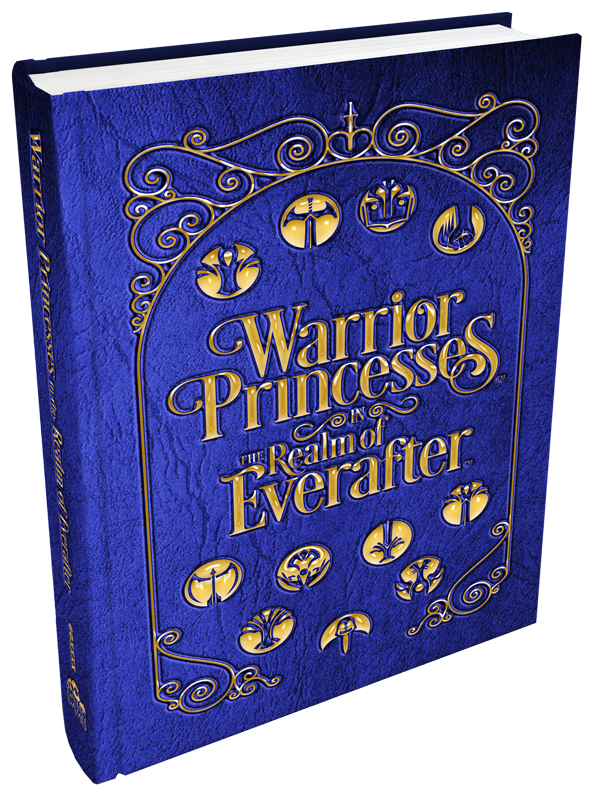 Tell me a little about Tales of the Warrior Princesses. What excites you about it? 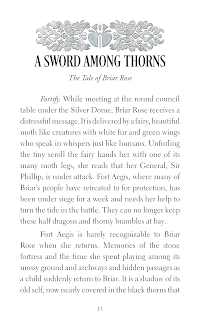 Brennan: Tales of the Warrior Princesses is a Kickstarter for a setting and adventures taking fairy tale princesses and turning them into the active heroes of their own stories. 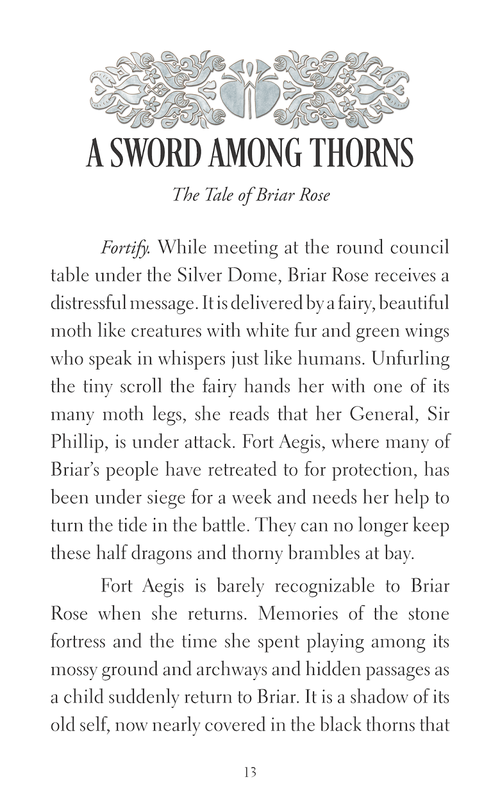 We're funding two books, Warrior Princesses in the Realm of Everafter, a setting book that includes character sheets for all the princesses and details their world, and Tales of the Warrior Princesses, a book of 11 adventures, each focusing on one of the princesses as the star of an adventure going up against the enemies in her realm. 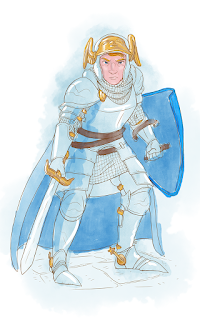 What excites me about this project is taking these characters and turning them into role-playing game heroes. The person who conceived the project, John Carimando, is really passionate and excited about this, and he is committed to making sure that the Tales and any future projects are written by women. He's been very generous with his concept, putting it out there for other writers to take and really make their own. I love seeing these new stories come in and the great creativity that's being applied. I think this project is going to create something great for parents with kids looking to get them into role-playing, and because we are using 5th edition, it's got a broad appeal to people in the hobby that I usually don't reach with my very indie-focused games. Sorry to ramble a bit, but there are a lot of things I'm excited about on this project. Where did Tales of the Warrior Princesses come from? What are the inspirations and motivations for the adventures and settings? John Carimando: I drew a picture of the Little Mermaid as a ranger. 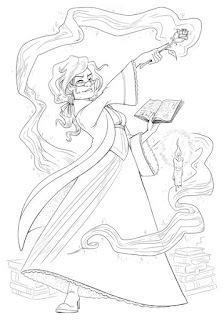 That inspired me to run a set of adventures for Nerdnyc's Gotham Gaming Group using some of the Disney's versions of Snow White, Cinderella, and Ariel. The players liked the idea and playing the characters. I want to make beautiful things, this gave me an opportunity to draw, paint, and design great artwork. Also, I like the idea of flipping the gender paradigm for protagonists and who they rescue. The majority of heroes of legend are women, they are sought out for their insight, and save a prince or two. How does Tales... interact with the 5th ed. mechanics and structure? John: Each Warrior Princess is a different D&D class. When you combine popular media (cartoons and movies), their original stories (Grimm, myth, etc. ), and their archetypal depiction in the game, the class and character choice makes more sense. Mechanically, playing with the different WPs keeps from too much ability overlap. 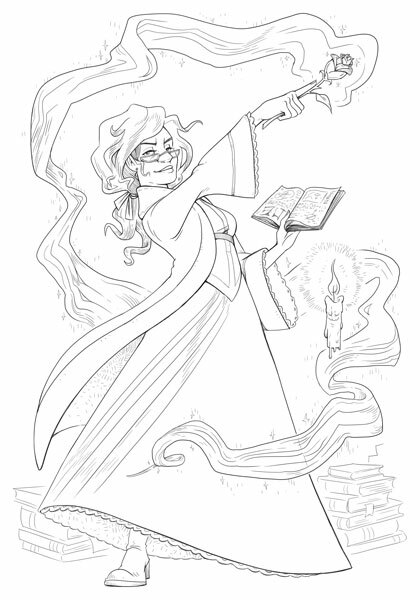 We also created new backgrounds, class archetypes, and feats to add to a DM's collection. I am also trying to design a little outside the established norms for D&D. Who have you brought on for the project, and what kind of themes and fun bits of story do you think they're really bringing to the forefront? John: The overarching themes are sorority, friendship, and adventure. The Warrior Princesses are depicted more as freedom-fighters than royalty (even though, some have noble backgrounds). The island they live on is called Avalon, and hold council at a round table under a silver dome, obvious references to Knights of the Round Table. The writers get to expand the game universe and get to showcase their style of adventure. The consistent structural each Tale is different content wise and in presentation. Brennan: We have a team of really talented writers working on all the new material for the Kickstarter. It's a real dream-team for this project. We brought in an author for each princess so that each one has a special perspective and feel. As we continue to develop adventures and other material for the world we want to keep working with these same creators. D&D Fifth ed. has some complexity, and it can be difficult to keep kids on rails. How are you making the game appealing for kids? Brennan: The themes and language in the writing is not just for adults. The appeal of Warrior Princesses pretty well crosses age ranges. Setting up the stories so that the princesses are active and engaged heroes in their stories, fighting storybook monsters, captures a timeless feeling for the books. For parents who want to play with their kids, we recommend ages twelve and up, but parents running games for younger kids could easily scale back imagery that they feel could be troublesome, like undead. Thanks so much to Brennan and John for answering my questions! Since I only found out about the Kickstarter right before it ends (go back now if you're excited! ), I didn't get to talk to all of the creators. Here's to hoping we can hear from them soon! 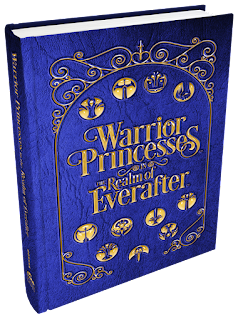 Check out Tales of the Warrior Princesses on Kickstarter here!